Minnesota Researchers to Smokeless Users: You’re Better Off Smoking! In mid August the American Chemical Society, “the world’s largest scientific society,” held its national meeting in Washington, DC. The ACS has an impressive media machine, and on August 16 it was mobilized to promote a presentation entitled “Analysis of 21 polycyclic aromatic hydrocarbons in smokeless tobacco by gas chromatography-mass spectrometry,” by Irina Stepanov, a research associate at the University of Minnesota Masonic Cancer Center. The ACS media blitz included a press conference with Stepanov, which you can watch here. Let’s be perfectly clear: Irina Stepanov was asserting not only that smokeless tobacco is not safer than smoking, but that it is five times more dangerous than smoking! Readers of this blog are familiar with the epidemiologic evidence linking smokeless tobacco use and cancer: almost a big fat zero. Numerous research studies have established that the cancer risks from using smokeless tobacco are so low that they are barely measurable. Irina Stepanov made her claims about smokeless tobacco at a very public national meeting, and the American Chemical Society was an enthusiastic partner in promoting her research to the media. Surprisingly, after launching this unsubstantiated attack on smokeless tobacco, both Stepanov and the Chemical Society have refused to share her presentation with this researcher. That excuse for withholding her data is unprofessional. Researchers routinely provide copies of their public conference presentations to others in academia, regardless of the pendency of publication of fuller texts. This episode is simply the latest in a series of attacks on smokeless tobacco by Minnesota anti-tobacco extremists. Almost the same approach and rhetoric were used in these 2007 articles in the New York Times and Fox News. The main objective of this blog is to “examine and comment on the scientific foundation for tobacco policies and fallacies.” But that examination and commentary is contingent upon the scientific information being made available. In this case, Irina Stepanov, assisted by the American Chemical Society, has made a mockery of the long-standing tradition of open communication of scientific information. The International Agency for Research on Cancer (IARC) is a component of the World Health Organization with a mission “to identify the causes of cancer so that preventive measures may be adopted and the burden of disease and associated suffering reduced.” It is therefore not surprising that IARC staff have played a prominent role in exaggerating the cancer risks of smokeless tobacco use. The IARC anti- smokeless tobacco campaign has been led by Paolo Boffetta. Boffetta, a cancer epidemiologist, departed from his field of expertise to complete (with co-author Kurt Straif) a review of the risks for heart attack and stroke among smokeless tobacco users in the U.S. and Sweden. The analysis has just been published by the British Medical Journal. Boffetta reported that the summary relative risk (RR) for heart attack among smokeless tobacco users was 0.99, with a 95% confidence interval (CI) of 0.89 to 1.10 (For a discussion on how to interpret RRs and CIs, see my recent post). For stroke, Boffetta reported a minimal increase in risk (RR = 1.19) that was not statistically significant (CI = 0.97 – 1.47). Thus, the main finding in this study is that smokeless tobacco users have no excess risk of heart attack or stroke. Given the importance of that conclusion, why did the researchers (in their BMJ abstract) and subsequent media coverage ignore it, focusing instead on fatal heart attack/stroke, one of two subgroups? It is because smokeless tobacco users had very small elevations in risk for the fatal events. For fatal heart attack the RR among smokeless users was 1.13 (CI = 1.06 – 1.21), and the RR for fatal stroke was 1.40 (CI = 1.28 – 1.54). Boffetta was unable to demonstrate that the excess risks were related to how much or how long smokeless tobacco had been consumed, two important characteristics that would have strengthened the validity of the findings. There is a serious omission in this study. Boffetta divided all heart attacks and strokes into two subgroups, fatal and non-fatal. Boffetta found that smokeless users had no significant risk for all heart attacks and strokes but had elevated risks for fatal cases. It logically follows that smokeless users probably had LOWER risks for NON-FATAL heart attacks and strokes. But Boffetta provided no information about these subgroups, and the reason is obvious: it wouldn’t add to the health hysteria. Norway occupies an interesting position in the European political arena, and in European tobacco issues. While it is located in the Scandinavian peninsula next to Sweden and has membership in the European Economic Area, Norway has twice rejected membership in the European Union. Thus, it has not been subject to the ridiculous EU policy in which vastly safer smokeless tobacco products are banned while cigarettes are freely available. In fact, information is now emerging from Norway that the increasing use of snus in the past 20 years has resulted in a substantial decline in smoking among Norwegian men, a virtual reproduction of the Swedish miracle that was documented by me and my colleagues in several published research articles. The Norwegian tobacco harm reduction information was produced by Dr. Karl Erik Lund, a respected tobacco researcher with SIRUS, the Norwegian Institute for Alcohol and Drug Research. SIRUS is an independent institution, but it is also a government entity answerable to the Ministry of Health and Care Services. Lund has 20 years experience in tobacco research and more than 85 publications in the fields of tobacco epidemiology, evaluation and prevention. In 2008, Dr. Lund gave a fascinating presentation on Norwegian tobacco use at the 51st conference of the International Council on Alcohol and Addictions. He reported that among Norwegian men age 16-35 years, the prevalence of smoking declined from 50% in 1985, to 30% in 2007, while the prevalence of snus use increased from 10% to 30%. Lund reported that snus is very popular as a quit-smoking aid among Norwegian men. Among those who quit smoking in 2007, snus was used by 23%, while nicotine gum was used by only 9%; the nicotine patch, Zyban and a quit line were used by even fewer (6%, 3% and 3% respectively). Lund also presented information about the outcome of the last quit attempt by Norwegian male smokers age 20-50 years in 2007. Of those who used snus, 74% “quit smoking altogether” or experienced a “dramatic reduction in smoking intensity.” It is important to point out that this success rate is essentially identical to the rate that we reported for American men who used smokeless tobacco to quit smoking. The percentages for those who used nicotine gum, patch and Zyban were 50%, 47% and 40% respectively. We now have clear and compelling evidence that snus is a superior quit-smoking aid for men in Norway, in addition to those in Sweden and the United States. Earlier this year Dr. Lund published (in Norwegian) a brilliant report on tobacco harm reduction entitled “A tobacco-free society or tobacco harm reduction? Which objective is best for the remaining smokers in Scandinavia?” Last week, the report was published in English, and it is available at this SIRUS website Following are some of the major findings. Without encouragement to use harm-reducing nicotine products, a large proportion of remaining smokers will continue to smoke, and will thus have a 50 per cent chance of dying from a tobacco-related disease. With the status quo in tobacco/nicotine policy that is given legitimacy by the authorities – that is a policy without an active harm-reduction strategy – use of tobacco will maintain and strengthen future social inequalities in health status. In Scandinavia up until now there has been little willingness to discuss harm reduction in the area of tobacco. The debate has been hampered by dogmatic statements of principle (particularly about snus) that suppress exchange of opinions and reflections about the ethical implications of harm reduction. Interest for – albeit limited – empirical research that can illuminate the theme has been moderate, taking into consideration the potential that harm reduction has for improving public health. Maybe this report can stimulate less biased debate? In Scandinavia, the tobacco problem is not substantially less serious now than it was in the 1960s. At that time, doctors did not know the extent of the hazards of smoking, or that cigarettes would be the cause of so many deaths over the next 40 years. 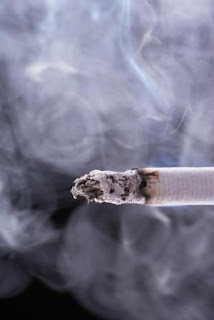 We now have knowledge about the extent of the hazards, nearly all conceivable preventive measures have been used, and we can predict future changes in smoking behaviour. In contrast to the doctors in the 1960s, we are now on the brink of a human catastrophe that we have been warned will occur if the reduction in smoking does not speed up. To ignore harm reduction as a future strategy in the area of tobacco can be erroneous in this situation. An uncompromising attitude to a tobacco-free society can deny many nicotine-dependent smokers the possibility to survive, which they could have had if the authorities had assumed a more pragmatic attitude to harm reduction. "The Norwegian Directorate of Health says yes to general practitioners, dentists and other health care personnel being able to recommend health-damaging snus to inveterate smokers. Snus is clearly less damaging to health than smoking. If patients have tried other methods without success, we mean that health care personnel can recommend that they use snus instead," says Knut-Inge Klepp, director of division in the Norwegian Directorate of Health. He stresses that before such a recommendation can be made, other nicotine replacement products, and, if appropriate, medicinal nicotine products, must have been tried. Klepp also stresses that such a recommendation must be made directly by health care personnel to the person who needs advice. He is strongly against a general recommendation. "We know that a large proportion of people who smoke have contact with a dentist or a general practitioner," says Klepp. "It is important that health care personnel take up the topic of smoking, recommend quitting, and help people who wish to quit. In the first instance they should try established methods such as nicotine chewing gum, nicotine patches or medicinal nicotine products available on prescription. If patients have tried these methods without being successful, the Norwegian Directorate of Health means that health care personnel in individual cases can consider that the patient should try snus instead." Tobacco harm reduction is happening in Norway, and Norwegian officials recognize that the lives of smokers are a higher priority than the demise of the tobacco industry. Prohibitionist tirades against smokeless tobacco invariably focus on a presumed association with cancer. For example, these “fact sheets” from the American Cancer Society and the Campaign for Tobacco Free Kids are terribly misleading for all but very sophisticated readers. They boldly declare that smokeless tobacco causes cancer, but they fail to provide ANY evidence to support the claim. There’s a good reason for this deliberate misrepresentation: Scant evidence exists to link smokeless tobacco use with any cancer. The Cancer Society and other anti-tobacco extremists cherry-pick various studies, taking a few isolated epidemiologic findings to justify their claims and ignoring the rest of the evidence that shows little or no risks from smokeless tobacco. This isn’t a scientific approach, and it should play no role in tobacco policy development. Unfortunately, this is exactly what has driven tobacco policy in the U.S.
Last week, United Kingdom epidemiologists Peter Lee and Jan Hamling published a comprehensive analysis of smokeless tobacco use and cancer in BMC Medicine, the flagship medical journal of the Biomed Central series, covering all aspects of medical science and clinical practice. Articles in this journal “need to be of outstanding quality, broad interest and special importance;” the Lee-Hamling study meets these criteria. This study looked at ALL the epidemiologic evidence linking smokeless tobacco use and cancer. It compiled statistics from 89 studies, and it used a straightforward technique to separate the risk related to smokeless tobacco use from the risk related to smoking and alcohol consumption. That is especially important, since smokeless tobacco users may also have a history of smoking and heavy drinking, both of which are established risk factors for cancers of the oral cavity, throat and esophagus. Lee and Hamling found 41 studies that reported risks for oral cancer. For all studies, the RR was 1.79 (CI = 1.36-2.36), indicating a modest elevation in risk. However, in the 19 studies that accounted for smoking, the RR was 1.36 (CI = 1.04-1.77); in the 10 studies that accounted for both smoking and alcohol, the RR was 1.07 (CI = 0.84-1.37). Thus, there is virtually no evidence that smokeless tobacco is an independent cause of oral cancer. Lee and Hamling also found that, for studies published since 1990, the RR for smokeless use was 1.28 (CI = 0.94-1.76). This means that no significant oral cancer risk has been detected in users of modern smokeless tobacco products, which should provide reassurance for contemporary users. What If All Smokers Had Used Smokeless Instead? Lee and Hamling also calculated how smokeless tobacco use might have changed cancer deaths among American men. In 2005, 142,205 men in the U.S. died from the 7 cancers associated with smoking. If no American men had ever smoked, there would have been only 37,468 cancer deaths, so 104,737 were directly attributable to smoking. Using the RRs above, Lee and Hamling calculated the number of cancer deaths that would have occurred if all smokers had instead used smokeless tobacco. The number attributable to smokeless tobacco would have been 1,102, which is only 1.1% of the deaths currently attributable to smoking. Lee and Hamling then calculated another extraordinary statistic, a sort of worst-case scenario in which every man in the U.S. used smokeless tobacco. I assume that the investigators did this in order to counter anti-tobacco extremists who claim that releasing accurate information about the risks of smokeless tobacco would cause everyone to use it. In that case, according to Lee and Hamling, there would be 2,081 deaths attributed to smokeless use – a mere 2% of the deaths currently attributable to smoking. It is difficult to exaggerate the importance of this study. The clear implication is that the deaths each year of 103,635 male smokers in the U.S. could be avoided if public health leaders shared the truth about safer smokeless tobacco, and if tobacco manufacturers were allowed and encouraged to urge smokers to switch. As profound as the Lee/Hamling research is, it is astounding how little public and professional attention has been paid to it. Their study has to date been the subject of only a single media blog article in the Los Angeles Times on July 29. The scourge of smoking-related deaths, preceded in most cases by years of debilitating and costly illness, should be viewed as an indictment of our public health and regulatory systems. Given the wealth of published research on the role of smokeless tobacco in tobacco harm reduction, aggressive smoker education on the subject should be a national and global public policy priority. In 2002 and 2003, I worked with a group of scientists from Umeå University in Sweden on a series of research reports. We documented that use of smokeless tobacco (“snus” in Swedish) has played an impressive role in low smoking rates among Swedish men. In 2005 we published another study, showing that smoking among Swedish women had started to decline as a result of increased snus use. Our findings were confirmed by studies published by other Swedes in 2005 and 2006 . Along with Phil Cole, an epidemiologist at the University of Alabama at Birmingham, I decided to address the SCENIHR indecision on extrapolation. While it is not possible to predict to what extent the availability of snus would reduce smoking prevalence in EU countries other than Sweden, it is possible to estimate how smoking-attributable deaths would decline if these countries had the smoking prevalence of Sweden. We looked at lung cancer mortality trends in EU countries, starting about 1950 and ending in 2002. Lung cancer is the sentinel disease of smoking, and a country’s lung cancer mortality rate (LCMR) provides a reasonable indication of the amount of smoking in that country. Our data came from the World Health Organization and the International Agency for Research on Cancer, and our study was published in the Scandinavian Journal of Public Health. In 2002, there were 172,000 lung cancer deaths among men in the EU. If all EU countries had the LCMR of men in Sweden, there would have been 92,000 fewer lung cancer deaths. Using this data, we can calculate the number of deaths from smoking in EU countries and compare it to the number in Sweden. For men in the EU, 91% of all lung cancer deaths are attributed to smoking, and lung cancer accounts for 31% of all smoking-attributable deaths. We estimate that there were 509,000 smoking attributable deaths among men in EU countries in 2002. If all EU countries had the smoking rates of Swedish men, there would have been only 237,000 deaths. In other words, 274,000 smoking-attributable EU deaths would have been avoided. The following table lists the numbers for each EU country (no data was available for Belgium and Cyprus). The countries with the largest numbers of smoking-attributable deaths are Germany, Italy, France and the UK, which reflects both large populations and high smoking rates. If these countries had access to snus and men used it as frequently as those in Sweden, deaths would be reduced by half. The biggest proportional reductions would come in eastern EU countries like Poland (73%) and Hungary (70%), which have the highest smoking rates in the EU. The large differences in LCMRs between Sweden and other EU countries occur only in men. For most of the last 50 years, the LCMR among Swedish women was the sixth highest in the EU. This context is important, because it has been suggested that vigorous anti-smoking campaigns since the 1970s are the major determinant of the low Swedish smoking rates. It is implausible that these campaigns were highly effective for Swedish men and almost completely ineffective for Swedish women. The striking difference in the relative EU ranking of Swedish men and women is firm evidence that snus use, not anti-smoking campaigns, has played the primary role in low LCMR rates among men in Sweden for over a half century. World War II created millions of male smokers, resulting in very high LCMRs throughout Europe in the 1960s and 1970s. Men in Portugal, Spain and Italy, which had LCMRs similar to those in Sweden in the early 1950s, later experienced peak LCMRs that were four to six times higher, while the peak in Sweden represented only a three-fold increase. Even though snus consumption declined until 1969, its use was high enough to suppress smoking by Swedish men and to keep their LCMR among the lowest in the EU. Increasing snus consumption in the last two decades has been accompanied by further declines in smoking. If current trends hold, the LCMR for Swedish men may become lower than that for Swedish women by 2011. Currently, snus is banned in all EU countries except Sweden. While it cannot be proven that the availability of snus would reduce smoking prevalence in other EU countries, our study shows that snus use has had a profound effect on smoking among Swedish men. It also reveals that 274,000 smoking-attributable deaths would be avoided if all men in all EU countries had the smoking prevalence of men in Sweden. In 2008, an article in the prestigious medical journal Lancet argued that “…the absence of effective harm reduction options for smokers is perverse, unjust, and acts against the rights and best interests of smokers and the public health.” Our study clearly shows that, snus has the potential to help the EU avoid 274,000 smoking-related deaths every year. It is time for the European Commission to make snus available to all European smokers.